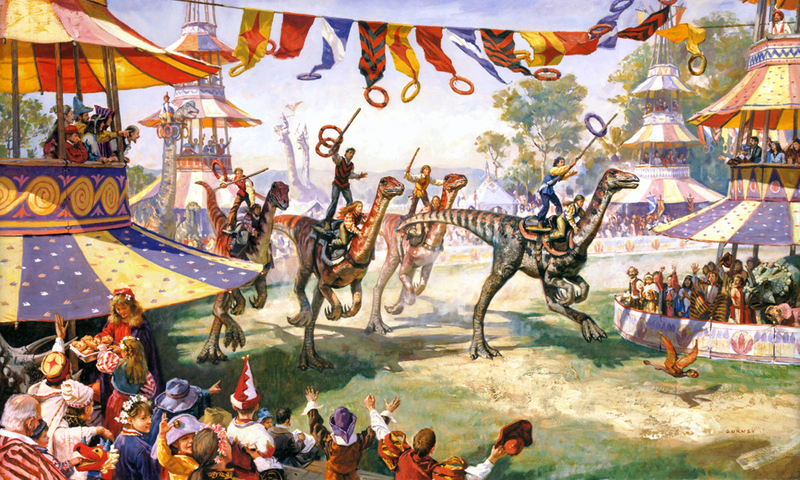 James Gurney’s collection of unique costumes and hats came in handy when composing Ring Riders, which depicts the crowning contest in Dinotopia’s Olympic Games. The object of the event is to capture the greatest number of rings of the proper color. Banners strung across the track represent each of the island’s four quadrants. On the lower right, a small Dimorphodon flies ahead of the racers to set their pace.